- Support for multi modal surveys. Just like in the familiar Voxme Estimator you can define mode of transport/destination for each item. - Item details now include handling type, dismantling, assembling and valuable flags. - PDF summaries can be generated in any of the configured languages. 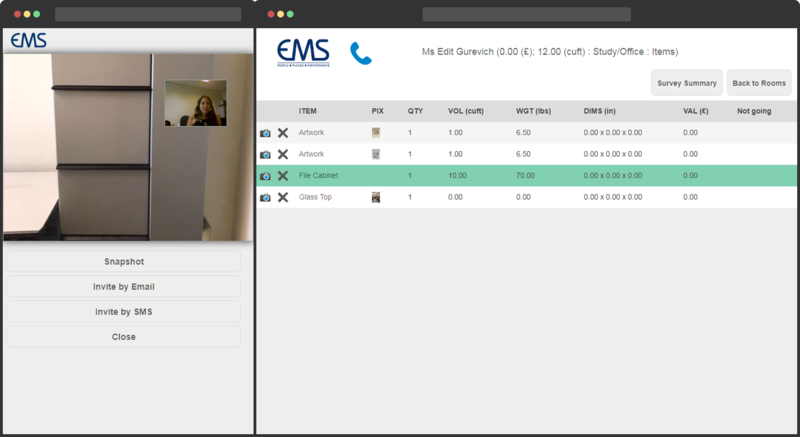 - Item photos can be taken during live video, from the recorded video and uploaded by customers via web app.